With more data-hungry devices in our homes than ever before, our 100% all-fibre network, lets you download films, catch-up on your favourite TV shows, stream music, play games and stay in touch with loved ones - all at the same time. Exceptionally fast broadband - great for families with many devices, those who work from home, and avid gamers. For more demanding households - stream full HD content, play online games and more on multiple devices at the same time. Do more online at the same time with less disruptions, like watching catch-up TV and playing online games. Our most basic service for everyday web browsing, email, online shopping and banking. Just need a landline? No problem. Great value voice packages available from as little as £4.99 per month. Our FibreNest Hub not only looks amazing, it delivers super speedy Wi-Fi throughout your home. Either free-standing or wall-mounted, it keeps all your devices online at the same time and its high-performance forwarding capabilities ensure an excellent experience with VoIP and online HD video services. It’s easy to get connected to the FibreNest Hub and friendly support is available from our UK call centre Monday - Friday 8am – 8pm and Saturday 9am – 5pm. Click here to view the technical specification. In response to customer demand, we are introducing a new entry level 10Mb package for just £13 per month! This will be available for purchasing online soon. Interested? Just give our friendly Customer Services team a call on 0333 234 2220 to learn more or to sign up. 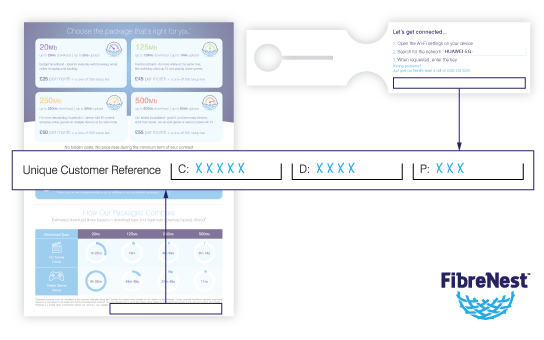 † Packages amongst providers can vary and the speeds offered may not always directly compare. Where this is the case, FibreNest guarantees faster speeds than with the UK’s largest broadband provider’s comparably priced packages. Definition of ‘comparably priced’ is the standard retail price of the UK’s largest broadband provider’s packages excluding any discounts, incentives or promotions, +5%. 1 Upload and download speeds represent the maximum attainable. Speeds may be slower during peak times. 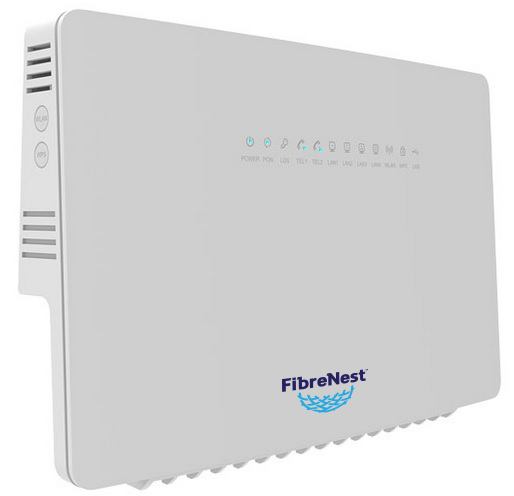 The speeds received by customers may also be reduced by other factors, including the operation of FibreNest’s traffic management policy. 2 FibreNest will not increase the price of your package during the minimum term of your contract unless required to by a change in law or regulatory obligations, for example, due to an increase in the rate of VAT. 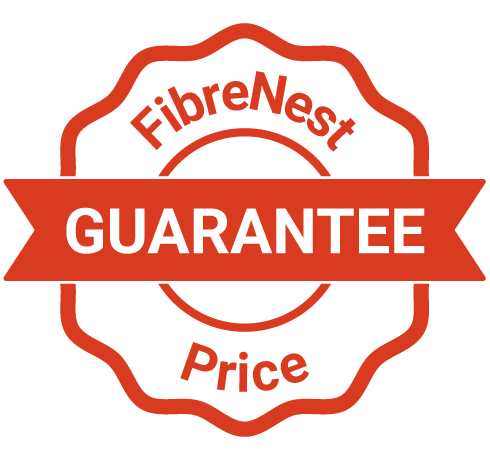 FibreNest does not plan automatic price increases to apply at the end of your minimum term; however, the basic price of our packages may vary over time and may take effect before you enter a subsequent minimum term with us.